EDINBURG — UTRGV women’s basketball battled back and forth with Utah Valley during Saturday’s fourth quarter, with eight ties and nine lead changes during the final 10 minutes of regulation. But when the clock ticked through to overtime, UTRGV slammed the door on UVU, scoring the first seven points to open up a decisive lead in a 71-64 win Saturday at the UTRGV Fieldhouse. The win gives UTRGV back-to-back WAC victories for the first time this season, lifting the team to 13-13 overall and 3-8 in conference play. Utah Valley drops to 10-16 overall and 4-7 in conference games. Johnson scored 25 points with four rebounds, and Alicia McCray had a season-high 15 points and a career-high 15 rebounds in her final home game with the Vaqueros. Saturday’s game was a defensive struggle through three quarters. The teams combined for just 49 points by halftime, with UTRGV holding a 26-23 edge despite shooting only 23.3 percent compared to Utah Valley’s 31.6 percent. Entering the fourth, UTRGV’s advantage was 41-36. Then, both teams found the scoring touch that had eluded them all day. The Vaqueros scored 19 points in the final period on 4-of-7 shooting and 10 of 11 at the free-throw line. UVU, meanwhile, hit 9 of 13 (69.2 percent) from the field in the fourth quarter, consistently beating UTRGV’s press and getting to the basket for layups. UVU’s Britta Spencer hit a 3-pointer on the Wolverines’ first possession of the final quarter, and the game was within 3 points for the rest of regulation. UTRGV’s Jameka Dowell was the last to score before overtime, hitting a jumper with 56 seconds to play to tie the game. In overtime, Amara Graham converted a 3-point play with 4:12 remaining and Johnson hit a jumper with 2:41 to play and added a layup with 2:05 on the clock to give UTRGV a comfortable cushion that wasn’t threatened. UVU scored just four points in overtime on 2-of-12 shooting. Saturday marked the final home game in the careers of four UTRGV players: Weslaco High graduate Laura Van Tilburg, Edinburg Vela graduate Emily Azubell, and graduate transfers McCray and Marie-Fatou Gueye. All four players were honored during a pregame ceremony, with Van Tilburg drawing an especially loud cheer from the home fans. Van Tilburg expended her role each year at UTRGV, developing into a regular rotation player and averaging 9.0 points and a team-best 5.8 rebounds per game this season entering Saturday. Van Tilburg had missed the team’s past two games due to a partially torn ACL — a situation Tidwell said will require careful management going forward. She finished the night with five points in 11 minutes. Azubell, a rarely used bench player, checked in after UVU fouled Megan Johnson in an attempt to extend the game with 7.1 seconds remaining in overtime. Gueye also went to the scorer’s table but did not check in. The gesture drew a standing ovation from the crowd of 761 fans. “I love those kids, and I want them on the floor,” Tidwell said. Saturday’s start time we delayed an hour to 8 p.m. due to travel issues with Utah Valley. The Vaqueros have three games remaining, all on the road, before the WAC Tournament begins on March 7. 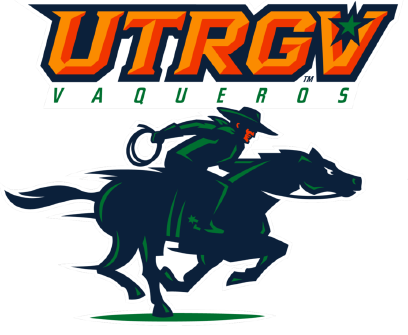 UTRGV’s next test is 7 p.m. Thursday at UMKC.